Shopping for My Little Pony Nesting Dolls? 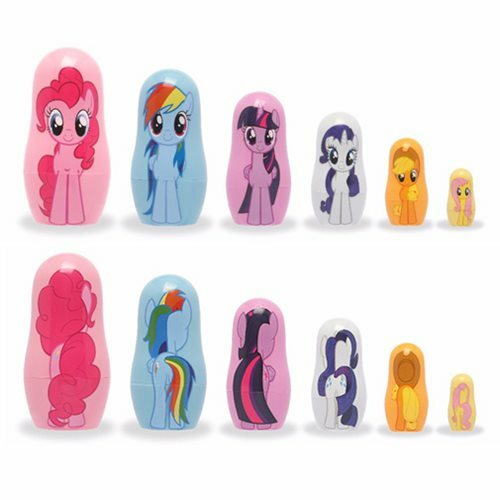 The My Little Pony Nesting Doll Set is here! Each set includes 6 of your favorite My Little Pony characters: Pinky Pie, Rainbow Dash, Twilight Sparkle, Rarity, Apple Jack and Fluttershy. These detailed plastic dolls range in size from 1 1/4-inches to 4 1/2-inches tall and each Pony includes it's "cutie-mark" printed on the back! Ages 3 and up.